With the Darlington pair you set up an amplifier with two transistors. Build the circuit shown. The transistors are connected so that the amplified signal from the transistor T1 directly goes into the base of the second transistor T2. 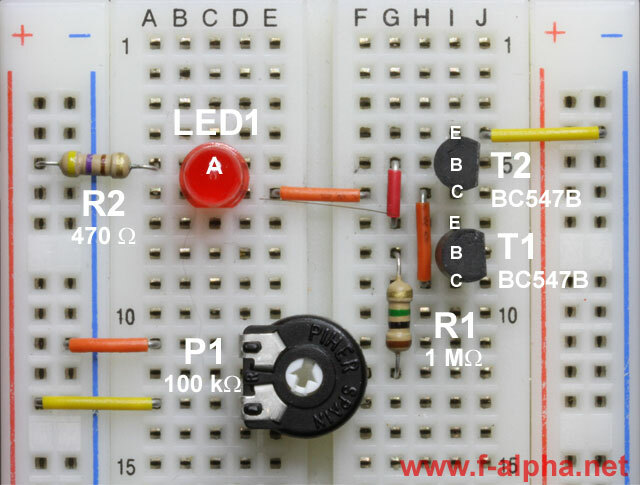 As you switch on the circuit and turn the potentiometer P1 you realize the difference from the previous experiment. The gain has become much larger. But how exactly have the gain and other characteristics changed...?